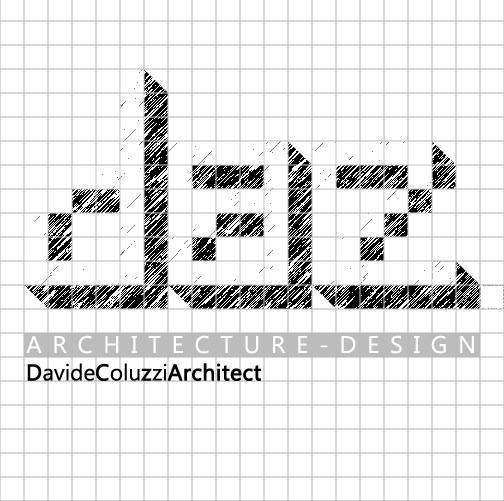 team: Davide Coluzzi DAZ architect. 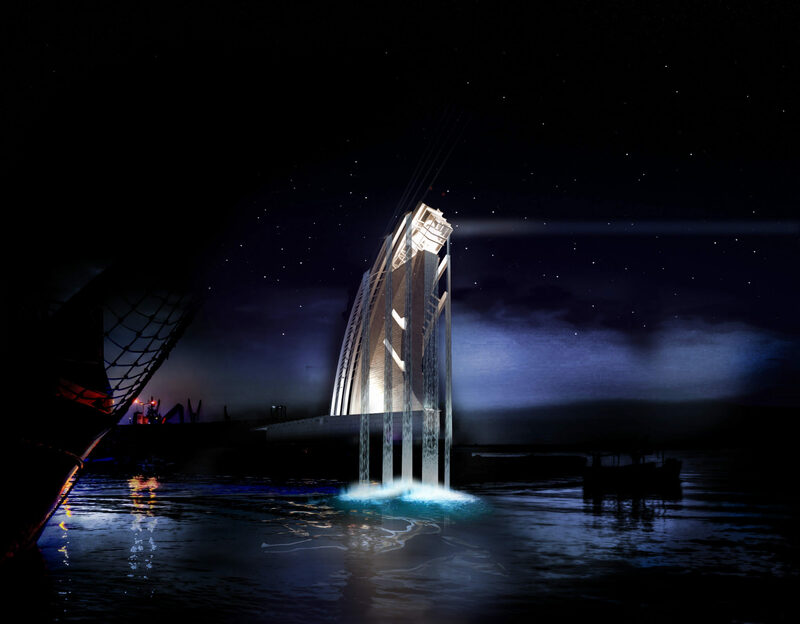 The project is simultaneously monument and architecture. Two aspects of the architecture harmonize together, the light of the lighthouse has its functionality for navigation and at the same time it is full of allegory and symbolism that have accompanied seamen throughout centuries. In the dark on open sea, light lets sailors hope not to be lost, it has a double value telling us “home is near/ land is here” and this signal has always encouraged man in dealing with the ocean. 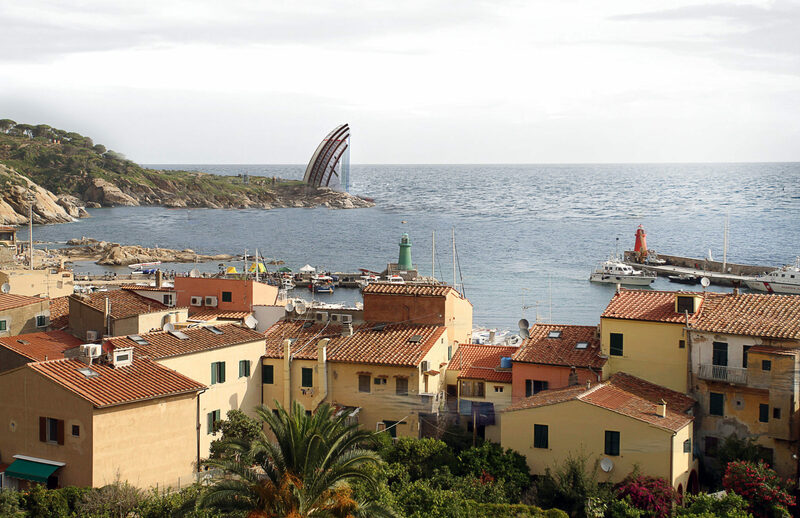 The contest asks for a project for a lighthouse on Isola del Giglio, but beyond supporting navigation it also wants to remind us of another value of buildings, their monumental character, remembering the tragic incident of Costa Concordia on January 13th, 2012, when whilst shipping near the coast of the island due to a fatal error of its captain, the cruise liner hit a rock and capsized, causing the death of 32 persons, and entering collective memory as the heaviest naval accident in european history. 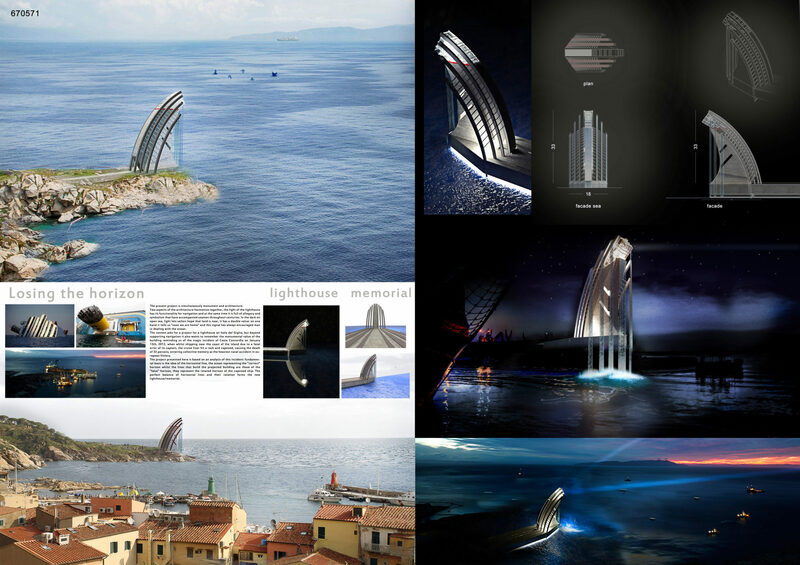 3 The building’s volume is inclining, giving birth to a structure built of steel enclosing the lighthouse, which in its geometry bears resemblance to the hulk of the ship. 4. 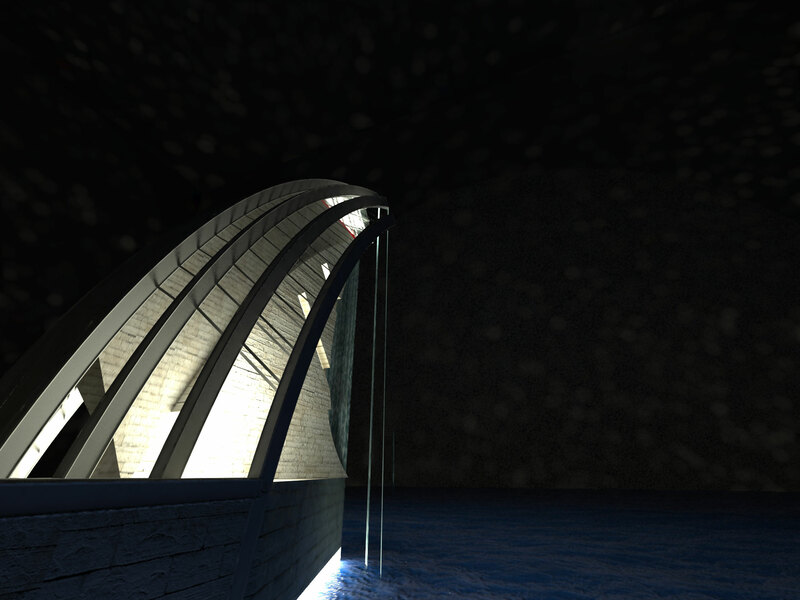 The building opens itself to the sea and is closed on the landside. 5. 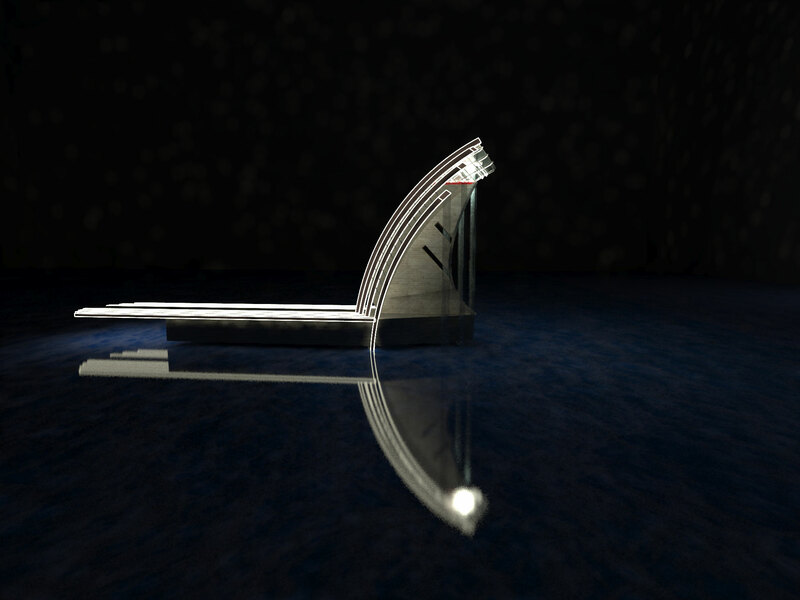 Metal blades create fountains of salt water kept running by a system of hydraulic pumps. These fountains represent a rotation of the horizon of 90°. The sea becomes vertical and the contrary. 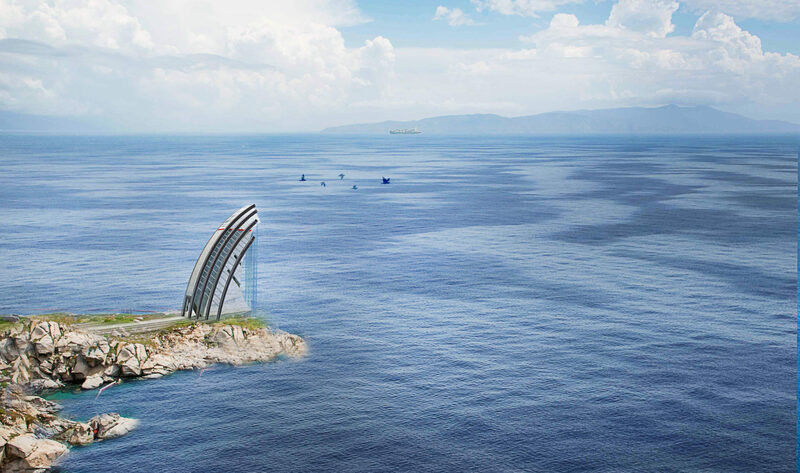 It is this principle of rotating the horizon that forms the building and makes it a monument. 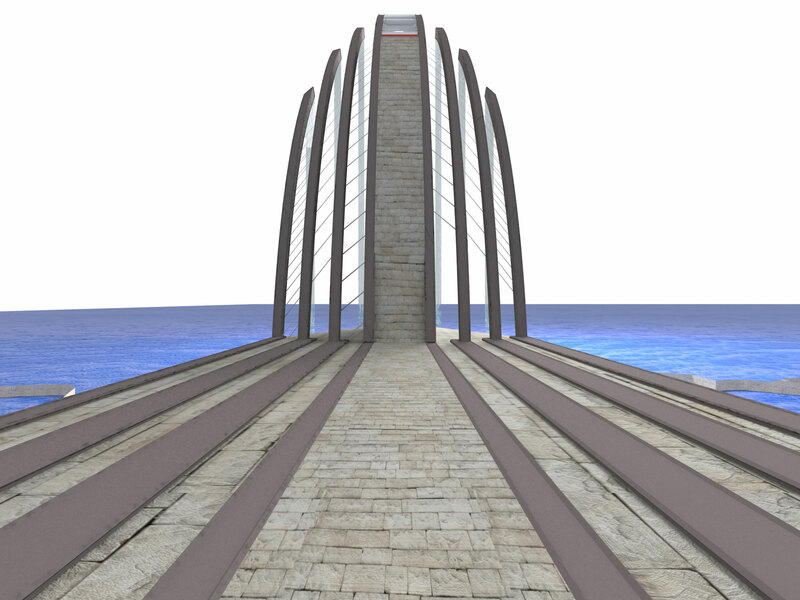 The external part of the entrance is dedicated to those who died in the incident, with memorial inscriptions and spaces that invite to meditate on the tragic event. The permanent murmuring of the cascading water creates an acoustic background for this, evoking the continuous circle of life. 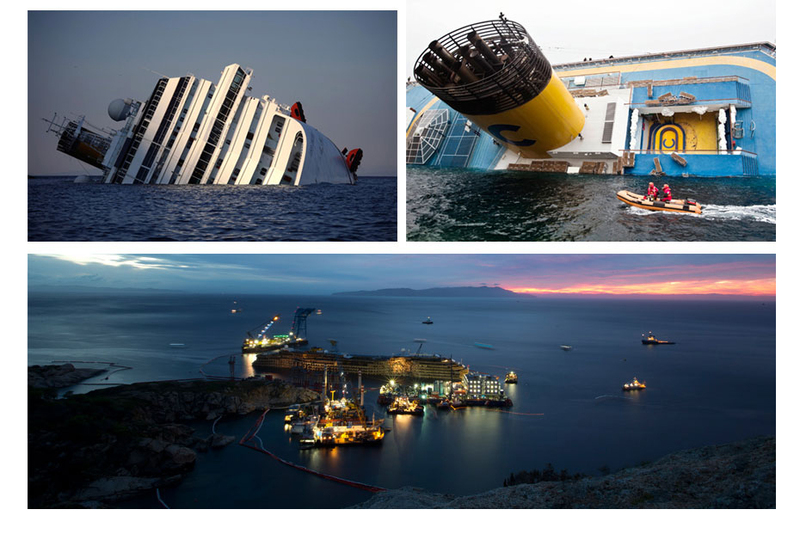 The lower part of the building is dedicated to a documentary exhibition of photography or installations dealing with the events of the accident. 6. The upper levels of the building are connected to the ground by stairways and elevators, accessible only to the guard of the lighthouse who has workspace and living area to his disposal. 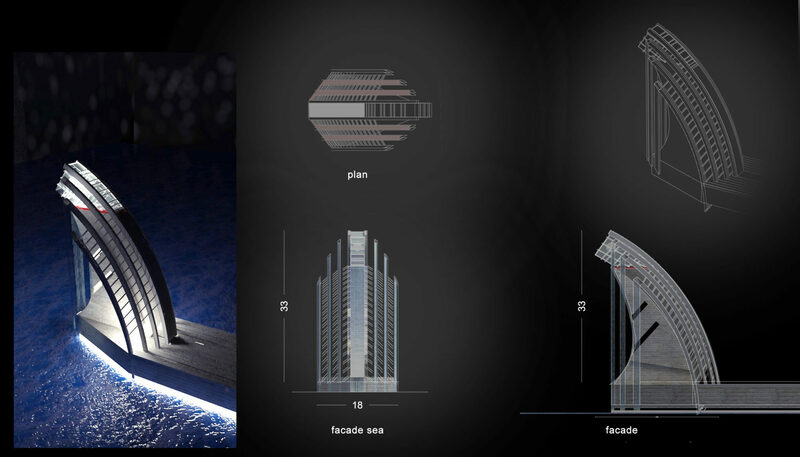 Materials used are traditional, the ground floor and basis in local stones, and even the tower is wainscoted with stone, stone and iron are put together to carry the light which is encased in a inclined volume of glass, itself again symbolizing the rotated horizon.